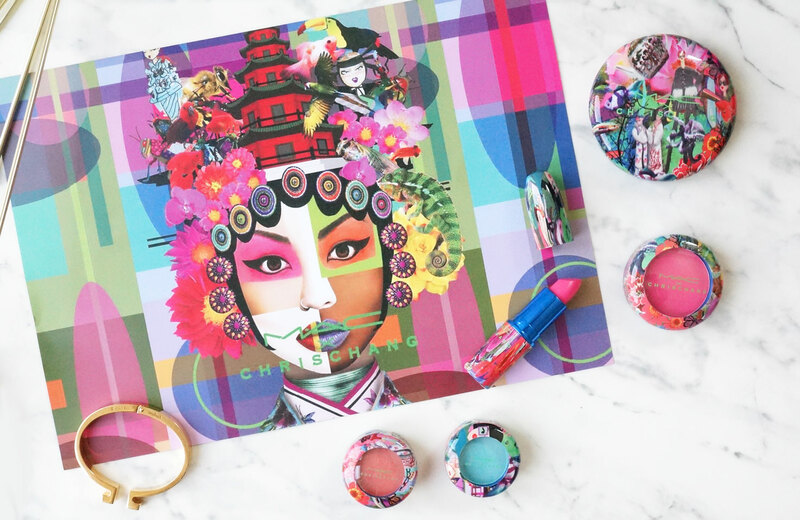 If you’re a MAC Cosmetics fan, it’s most likely you’ll have heard about the highly anticipated MAC X Chris Chang collection by now… if you’re not aware of Chris Chang, she’s a Chinese fashion designer obsessed with colour – she pretty much lives and breathes the stuff, and because of this she really is the perfect match for a MAC collaboration. China’s most outlandish fashion designer puts an acid-soaked twist on her modern M·A·C collection, featuring a vivid kaleidoscope of cutting-edge colour, inspired by the ancient Chinese art form Kunqu. Surreal hues of Lipstick, Cream Colour Base and Eye Shadow, and uniquely designed packaging, are saturated with her signature dramatic flair. Her limited edition collection for MAC contains a decent sized range of products, including Lipsticks (with lustre and matte finishes), Eyeshadows, a Fluid Line Eyeliner, Cream Colour Bases, and a Prep + Prime Transparent Finishing Pressed Powder. Poesia, the Chinese fashion designer’s outrageously-hued clothing line, embraces maximalism to the extreme and a kaleidoscopic point-of-view that’s splashed across her garments in ways that are artful, chaotic, frenzied, stunningly beautiful and never without humour. Her penchant for colour borders on the obsessive, although never seeming tacky or ridiculous. Similarly, her M·A·C collection leaves no hue left behind, a brilliant palette inspired by China’s oldest performance art form, Kunqu…on an acid trip. So firstly, can we just take a moment to appreciate the packaging? …No your eyes aren’t going funny, and no my camera isn’t blurry… the packaging for this collection is just plain crazy! There’s a collage mishmash of bright and outlandish shapes and patterns covering this collection; flowers, figures, wildlife and who knows what else features on the outer casings of the products. Parts are in focus, yet many have blurry edges, making you look twice to check if your eyes are playing tricks on you. 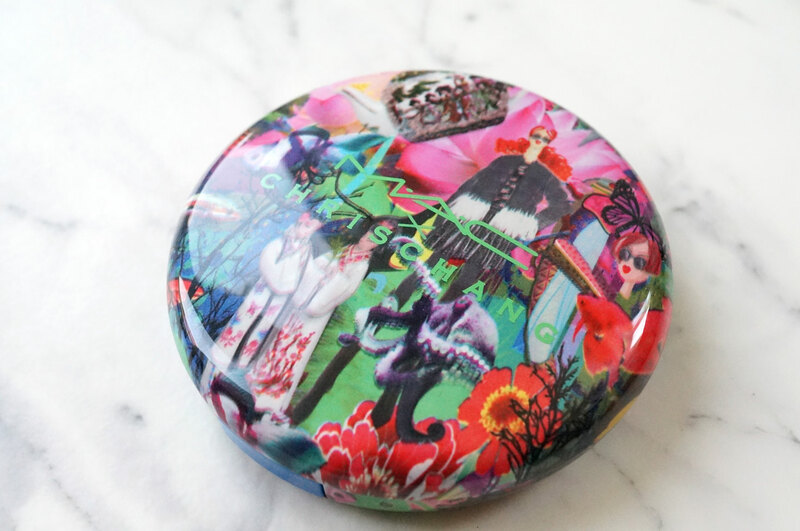 Described as hallucinogenic, crazy and trippy, this is possibly the maddest packaging I’ve seen yet in a MAC collection – and I love it! Ok so on to the products! 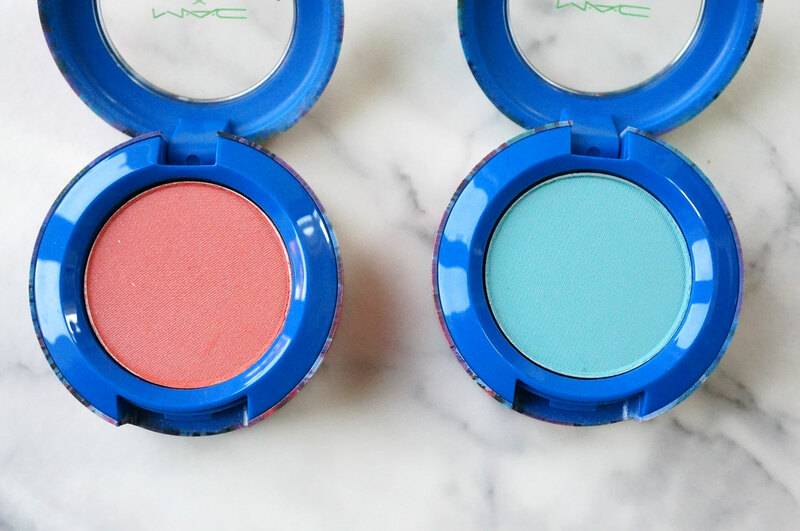 Lets start with the rather striking single Eyeshadows (£14.00), there are four brighter than bright matte shades in the collection – Royal Woo – a lemony pastel yellow, Pale Pipa – a pastel turquoise, Electric Mandarin – a neon mandarin orange, and Mu Mu Bloom – a hot pink. I have Pale Pipa and Electric Mandarin, and as expected both shades are intensely pigmented, super soft and easy to blend. 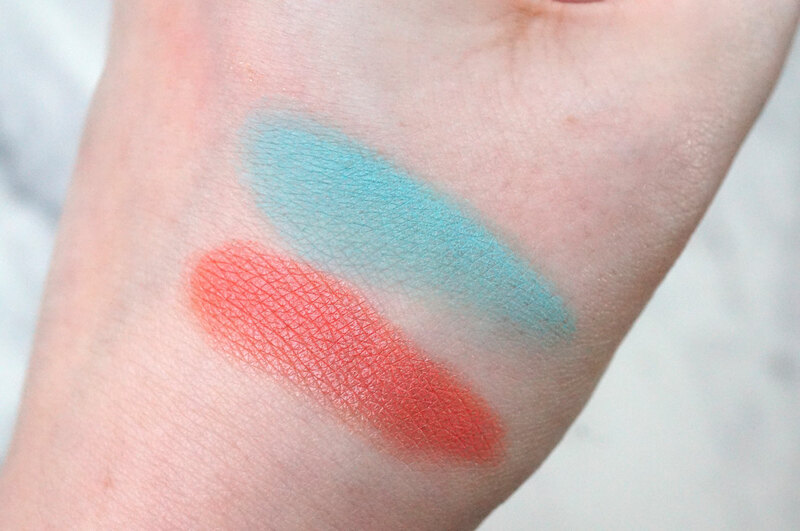 Pale Pipa has more of a powdery matte finish and Electric Mandarin is slightly more satin, both give excellent colour payoff, and though I’m not personally keen on Pale Pipa as a shade, I think I’ll get a lot of use out of Electric Mandarin over the Summer months. Cloud Gait – pastel turquoise with a lustre finish. Plum Princess – pastel plummy lavender with a matte finish. Dddevilish – pastel hotel pink with a matte finish. Vermillion Vee – clean true red with a matte finish. Peony Pavilion – hot pink. Sockit Xiqu – dirty lavender. 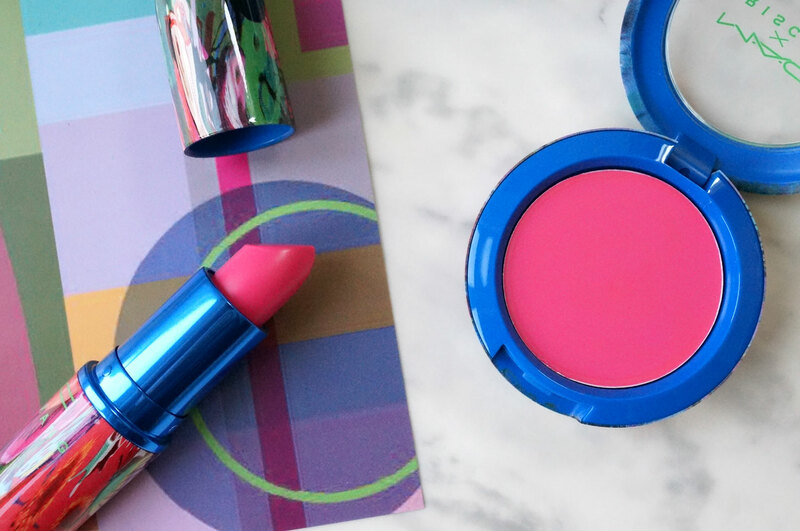 I have the lipstick in Dddevilish, an intense and bright blue toned pink with a matte finish. I know this shade won’t be to everyone’s taste, but I absolutely love it! 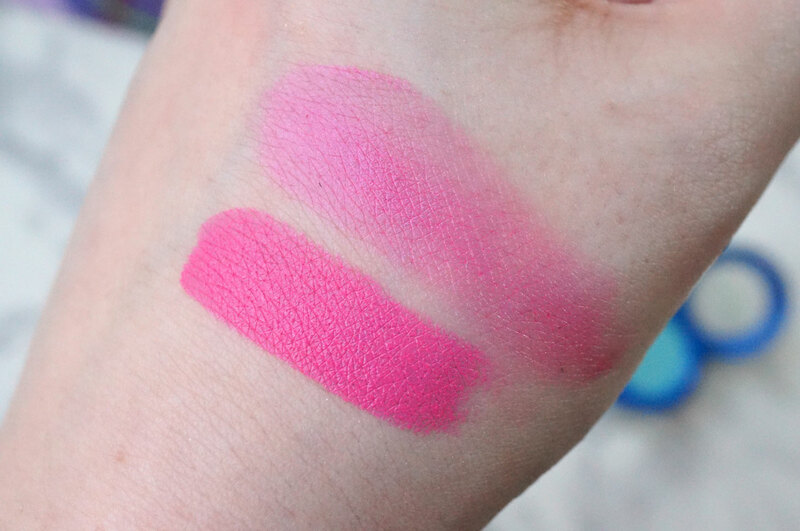 The colour is true and intense, and I love it especially because MAC lipsticks have one of the best matte formulas around, which won’t dry out your lips. I also have the Cream Colour Base in Peony Pavilion, which is again an intense hot pink – very similar in shade to Dddevillish. This is super creamy and easy to blend out and work with. You can wear this applied very lightly for a sheer touch of colour, or build up the product for a more intense look. And lastly the Prep + Prime Transparent Finishing Powder Compact (£22.50) – this is described as a silky, colourless finishing powder that reduces shine – and that description really is spot on. Though whiter than white, this powder is colourless when applied – hence no swatches, as you can’t really see it on the skin. It gives a velvety soft finish, while helping to set your makeup. 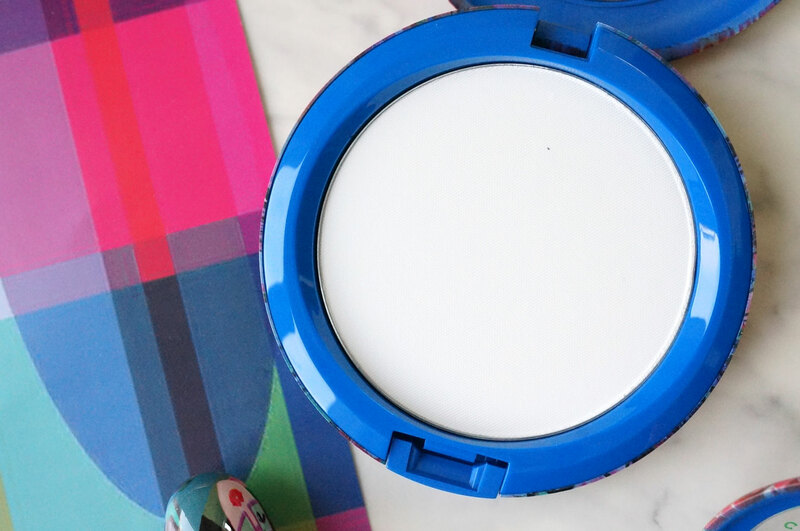 This is the perfect setting powder for controlling shine, and giving skin a super smooth and even finish. As I mentioned earlier in the post, these products, and the collection as a whole won’t be to everyones taste – but there are still a few products and shades in there that would suit those that are a bit fearful of outlandish colours. The Lipstick in Vermillion Vee looks like the most perfect true red shade – of which I believe everybody should own, and the Translucent Powder is just gorgeous, a definite must have for your summer makeup bag! 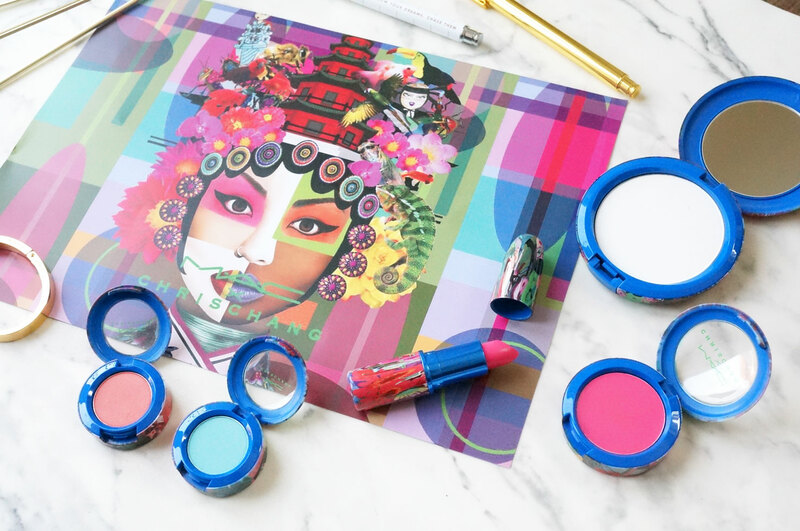 I love how this collection knows no bounds or limits, the colours Chang has chosen dare you to experiment and have fun – which really is is what makeup is all about. 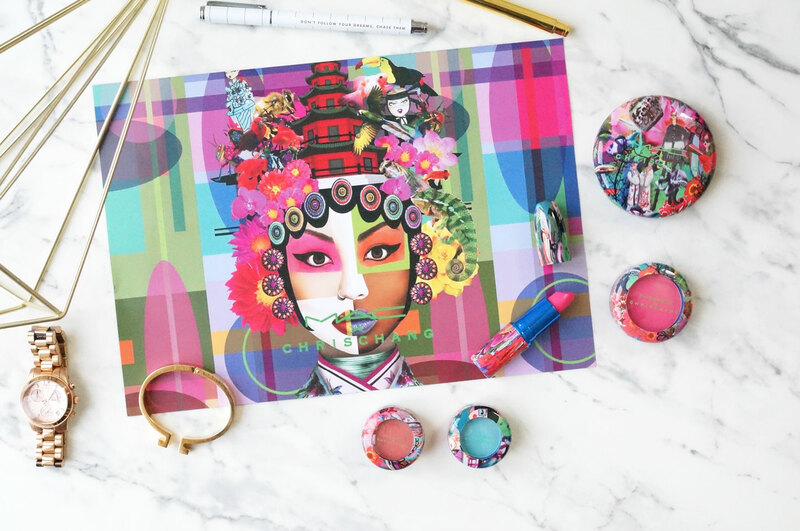 The limited edition MAC X Chris Chang Collection will launch in the UK on June 16th, at MAC’s Carnaby and Covent Garden Stores and online at MAC. Waaw, The packaging is quite colorful and vibrant,..